1. Use coarse, freshly ground coffee. 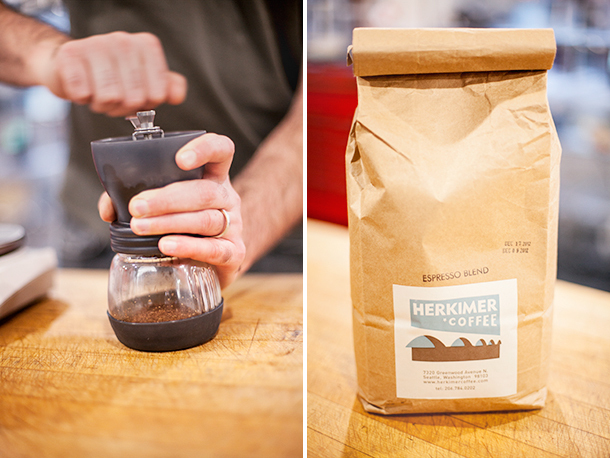 We are enjoying Herkimer coffee at the moment. 2. Measure your ingredients. I like 70 g of coffee to 1000 g of water. Most French press pots don’t hold quite this much, for example, I can usually only get 700 g of water in mine, so I’ll use 49 g of coffee to 700 g of water. 3. Add the coffee to your French press pot, pour over just boiled water—if you want to get really nerdy, you can obsess about the temperature of the water. Make sure you saturate all of the grounds evenly. 4. Give the coffee a stir and then wait for 4 minutes. 5. The secret step—that I learned from Tim Wendelboe — is to skim the raft of finer floating grounds off the top before plunging the press after 4 minutes of steeping time. 6. Enjoy within 15 minutes. Nothing is worse, in my opinion, than stale coffee. 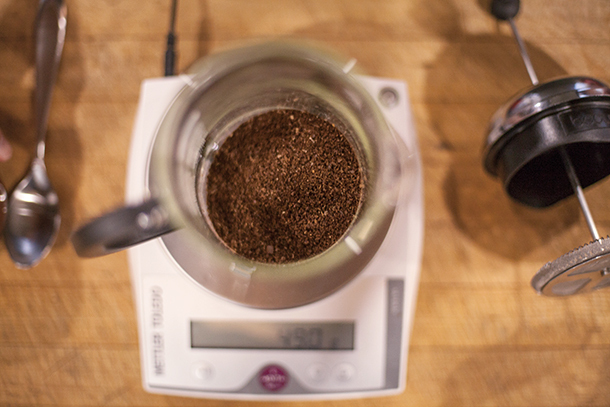 Note: If your coffee is a bit sour, you will want to grind it finer and if it’s a bit bitter you want to grind it more coarsely. 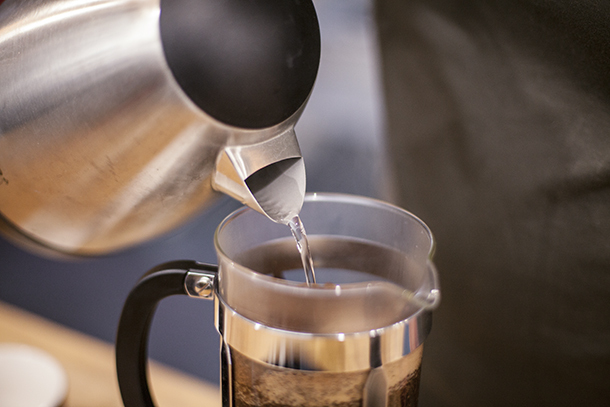 Keep the steeping time and the brewing ratio constant. I tried this method after reading about it in an interview with Chris elsewhere … and I whole heartedly agree! 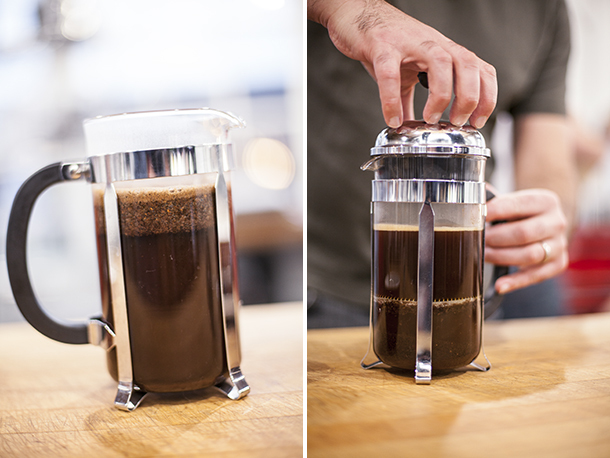 Best possible French Press coffee. What kind/brand of handheld grinders do you guys recommend for home use? Sam, for a handheld grinder we like the Hario: http://amzn.to/RKrzN4. Hi Sam, I use one made by Grosche International (www.grosche.ca)- similar to the Hairo. It looks like photos 6&7 are reversed. Having a visual on the coarse grounds is tremendously valuable. All this time I had been grinding far too fine. Skimming the raft a remarkable chef’s tip. Who would have thought? Yet what a difference! To make your coffee even better. Please add a small pinch of salt (by small I mean it has to be tasteless, just enough to mask some other bitter flavors). It helps a lot. If you want to try it, make the coffee the same way you always make it. Divide it in 2 cups, put a very small pinch of salt in one and check the difference between the two. I suggest using the golden ratio of 17.42:1 water to coffee. For example if the water used is 700ml, then you should be grinding 40.18 grams of coffee. As an alternate to stirring, you can push down the bloom after 30 seconds – but this of course gets in the way of skimming the top. The same ratio can be used for pourovers. For a group of people so dedicated to perfectly prepared food to not care about the temperature of the water (which will also determine whether the end flavour is bitter or sour) – I have a hard time believing you even care for coffee. 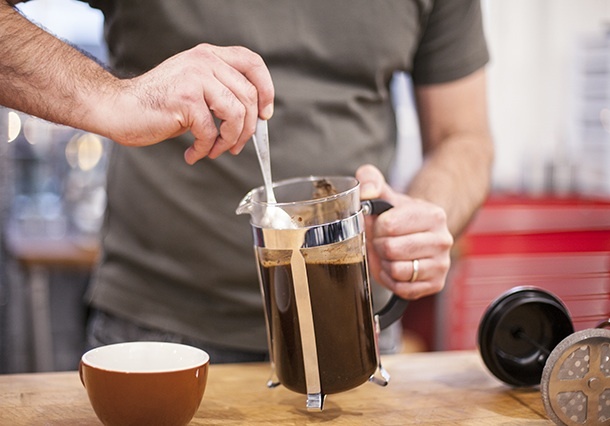 What about a much smaller 1-2 cup french press? Will four minutes be perfect for that as well? Some coffee tastes better using a Chemex over a french press and vice versa with other brew methods, etc. 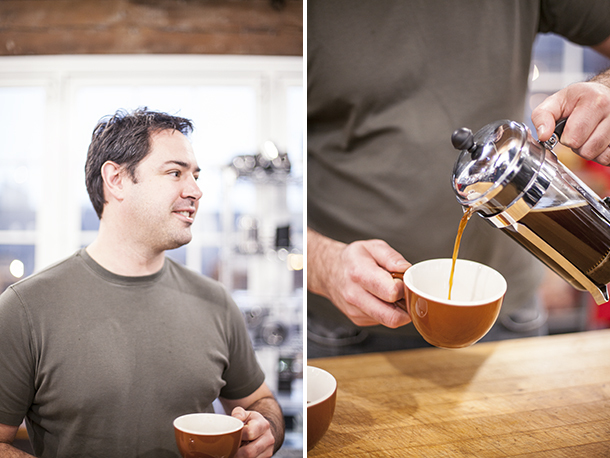 The type of grinder is also a huge factor – Do you use a modified hario skerton? Why not a more consistent Baratza Preciso for home use? Why would you keep the coffee in the french press? Even if you skim the bloom after it’s been brewed, there will always be grounds left in the coffee – so if you tend to have a cup and leave the rest in the press until you’re done that cup, there will be a slightly different flavour because of the prolonged contact with the coffee grinds.